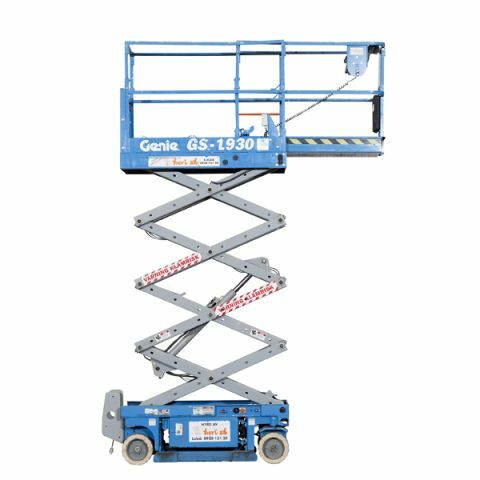 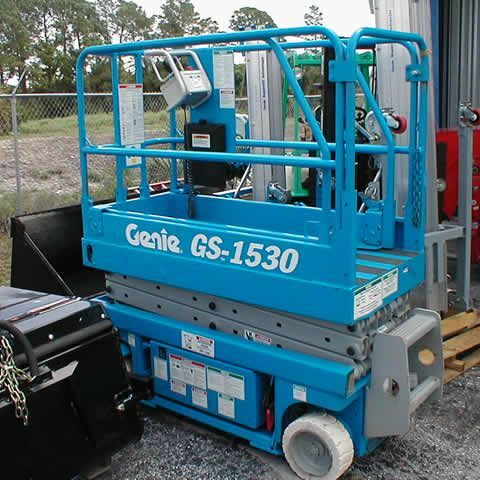 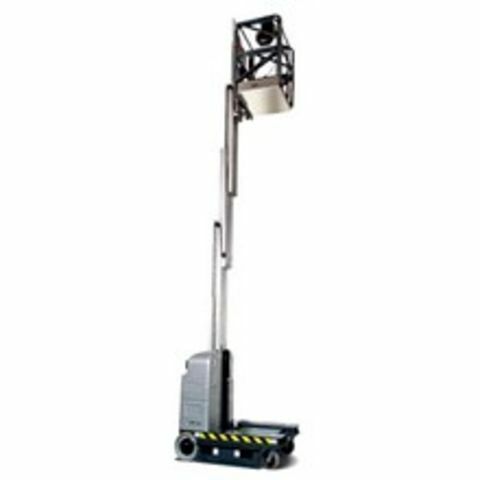 A scissor lift will help you reach those tall jobs safely. 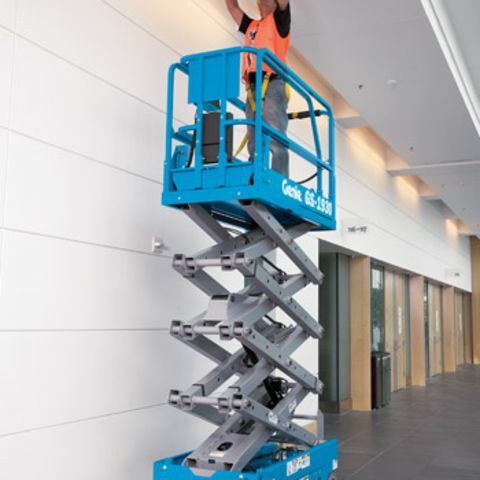 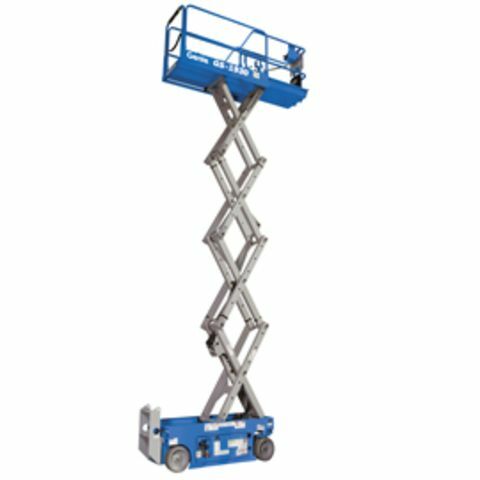 Designed for work on level slabs, this hard-tired scissor lift is highly maneuverable and offers a range of safety features for working at heights of upt to 25 feet. 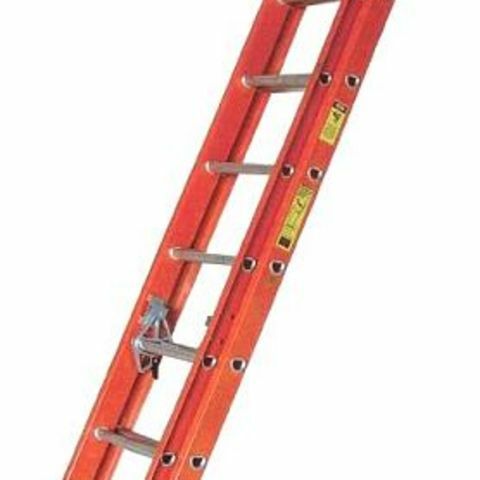 Yes, at only 30 inches wide and a stowed height of 6 foot 7 inches it will fit through a standard door. 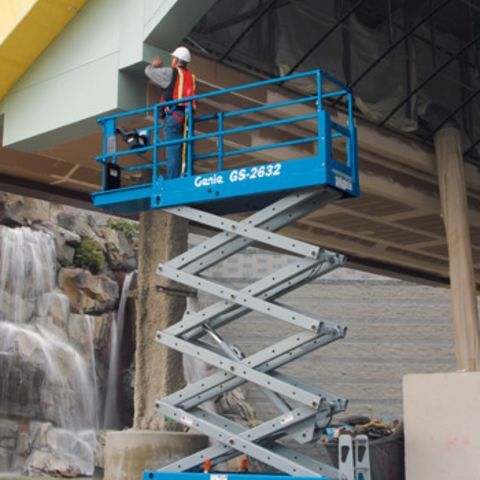 DON'T: Attach ropes or chains to guardrails, or attempt to use a scissor lift as a crane. 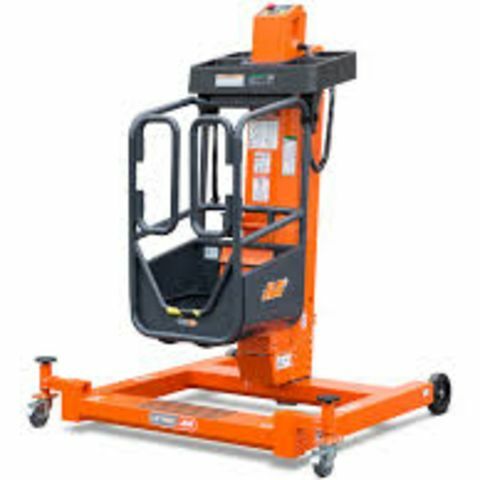 DON'T: Operate in windy/gusty conditions, or near moving vehicles.